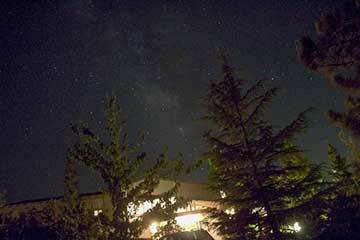 Well we are back at the observatory after our visit to Lowell Observatory and surrounding areas of Flagstaff, AZ. Hope you all had a happy Thanksgiving celebration, we certainly did, and can offer some additional comments and lessons learned there and at the AAVSO meeting. I found time to read through a book we found at the Flagstaff visitor center on " Pluto and Lowell Observatory" and try out a new light panel tool, about which in a moment. But first the book, whose cover page, shown below, displays three images representing the Pluto discovery story. On the left we see Clyde Tombaugh, probably at the guiding eyepiece. In the middle, we see the 13 inch Pluto Telescope, then on the right, is Percival Lowell This small book, less than 200 pages, goes through the history of Lowell Observatory and the discovery of Pluto. 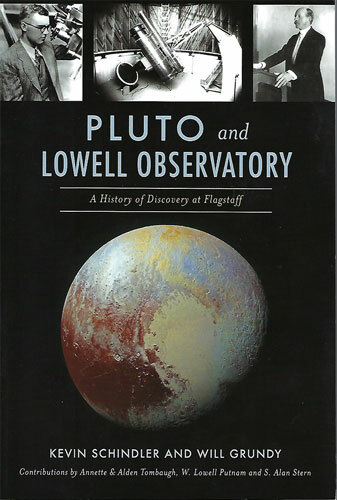 We learn that Lowell founded the observatory in 1894 and was intrigued with possibility of canals and Mars and also trying for himself to find the illusive Planet X up to his death in 1916 and the search only got going in earnest when Tombaugh arrived in 1929. Then in 1930, the 23-year old Tombaugh found the planet subsequently named Pluto. The searchers knew the general location where Planet X could be found based on calculations showing how the other planets orbits would differ from observation because of the gravitational tug from Planet X. 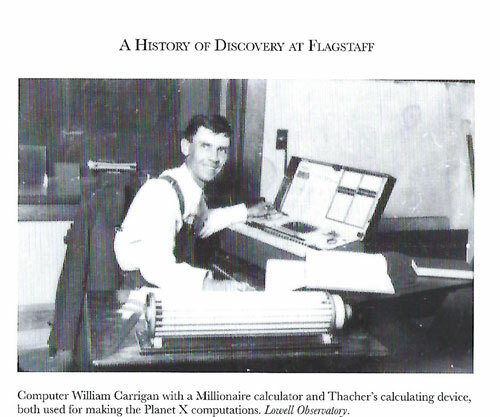 Some of the calculations were done at Lowell Observatory with the calculating tools shown below. The Millionaire Calculator was one of the fastest then available and could multiply two eight digit numbers in 10 seconds. Hmm, watch out for that speed! Next the Thatcher calculating device, which is the cylindrical slide rule looking device could be used effectively as a 60 foot long slide rule to help out with the orbit prediction calculations. So, as Tombaugh made the hour long exposures while guiding the scope by hand to keep the image lined up exactly, by night, it was in the daytime that he had to compare two different images in the blink comparator to see if Planet X could be spotted by just a very small movement between the two glass plates. 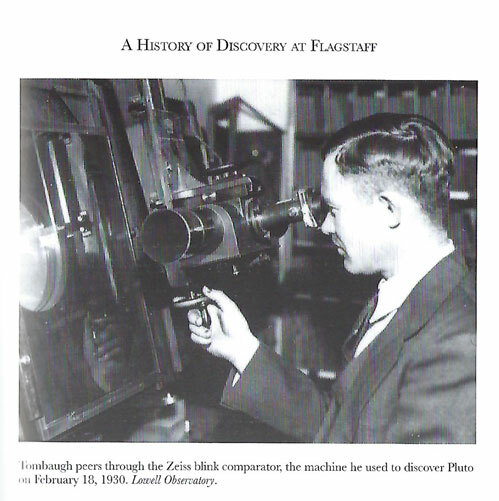 The photo from the book shows Tombaugh at the blink comparator. We all wanted to look through the blink comparator, but it was not to be because the comparator is on loan to the Smithsonian Museum until next year. Hmmm, maybe we will have to return to Lowell at that time! If you want to get more of the details and history then one source is to check out the book. Anyway, a lesson learned at the AAVSO meeting there was of a new light panel that is available to make high quality flat images. Remember that flat images are taken so that compensation for various camera pixel deficiencies and lens vignetting can be performed. When you are making light curves for variable stars you need to know that for any reference star near the edge of the camera lens is not reported at lower light intensity than it really is because of some lens vignetting. Previously I had just relied on the old technique of pointing the camera at some uniform looking section of the twilight sky and using that image as one of the flat frames. The problem is that you never know for sure if the flat frames taken in that way are the same or not or if there are still some background stars hiding there also. This new light panel, manufactured by Gerd Newmann, and available at OPT, is shown below and is energized by a high voltage inverter powered from the storage battery. This light panel is supposed to make a very high quality white light and apparently does not rely on individual lamps making just one narrow line color. This feature makes this product suitable when trying to calibrate various filters also. Now to check the quality of the light, I could measure its spectral output with a spectrometer, but for this first trial run, let's just see what the DSLR camera sees when the panel is the flat screen calibration device. 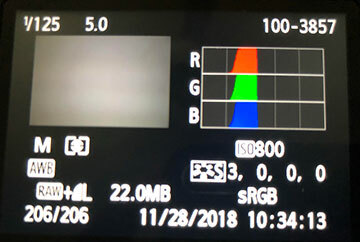 Check out the DSLR image below which shows the light panel producing pretty equal amounts of red, green and blue light. This is not the definitive test but it sure looks good so far! 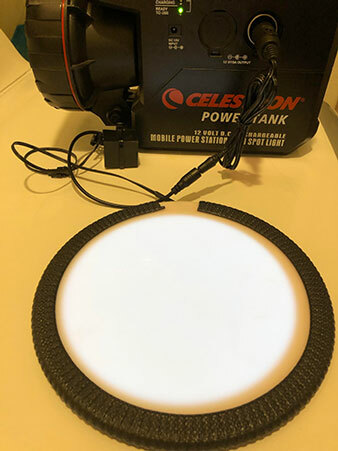 This new tool gets me one step closer to having enough capability to start doing some variable star light curve capture and analysis. Ok, I'll continue checking out this new tool, but for now let's switch topics a little bit and since this post goes out after we finished up with our own Thanksgiving celebration and consider some of the physics principles that real physicists are thankful for. Sean Carroll, Caltech, has posted every Thanksgiving some selection of physics principles to be thankful far and one of my favorite of his posts is the following list of Lagrangians that make up the Standard Model of particle physics. 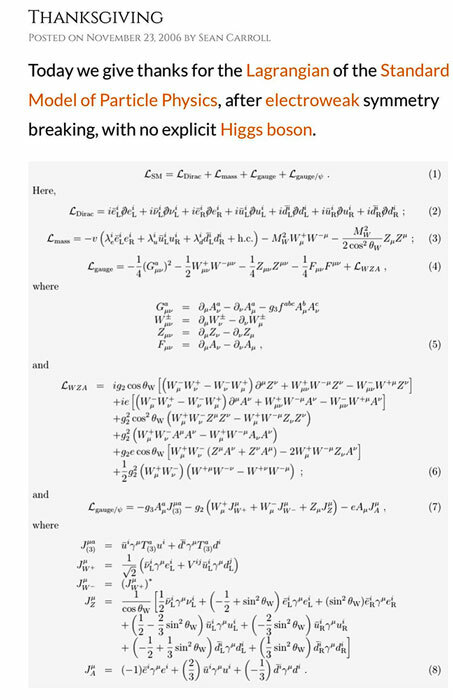 Wow, that is a pretty compact summary of particle physics, so thanks for that Sean! Now what does all of that mean? Well I am still just a student trying to make sense of this stuff. But first of all we know that the Lagrangian, as used in mechanics, can be though of as the difference between kinetic energy and potential energy. Then it turns out that the integral of the Lagrangian is called the action and when we use the principle of least action we can solve these equations for the predicted path of some particle. So rather than solve the motion of some particle by looking at the forces acting on it, we use the principle of least action and we can calculate the path of the particle without really calculating the forces. So the symbols in this table are all mostly tensors and derivatives of tensors and I am still struggling to learn what they all represent. For instance, the tensor F, with sub indices of mu and nu, summarize all of Maxwell's equations of electromagnetism, so it is in reality a 4 x 4 matrix representing those four equations. So you can see that there is a lot of information and constraints hidden away inside each of these symbols. The other symbols represent other aspects of physics. The W+, W- and Z symbols represent the weak nuclear forces. Several of our "little science squad" have made it part way through the Dirac portion of the Lagrangians, which deals with creation and annihilation of particles. It's going to take many more Thanksgiving holidays for me to work through all of the rest of this stuff! Finally, after getting a headache from trying to understand the Lagrangians, let's move on to a more friendly topic and finish up with thanks and congratulations for the successful NASA Insight mission landing on Mars. 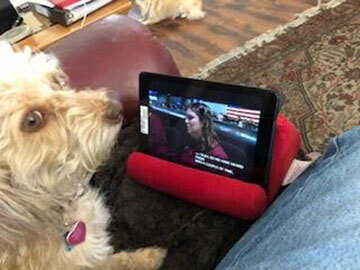 Astronomer Assistant Ruby and I chose to watch the live news feed from mission control on my Ipad, rather than drive to the festivities at Caltech and JPL and other places too! The seven minutes of terror seemed to go by uneventfully as all the reentry systems worked perfectly. My nervous moment was waiting to here the confirmation that the solar panels had actually unfurled after the Martian dust had cleared. Whew, great job NASA!